… talking about a storm from the Atlantic. There is a new brewery on the way in Kommetjie, Cape Town. The brewery is in Herons Park in Kommetjie (near Compass Bakery). At the moment they are still renovating the factory and haven’t got any equipment in. What kind of beers are they going to brew? According to Cameron they want to ” – brew beers with a unique flavour. We like to take everyday flavours and add them to beers”. In fact, you have had the opportunity to try their beer already. They had a spiced ale (with cinnamon, cloves, ginger, orange peel and honey) that won The Rogue Brewer Award at the South Yeasters Summer Festival this year. They have also just done a collaboration with Tribe Coffee, making an Irish coffee milk stout. 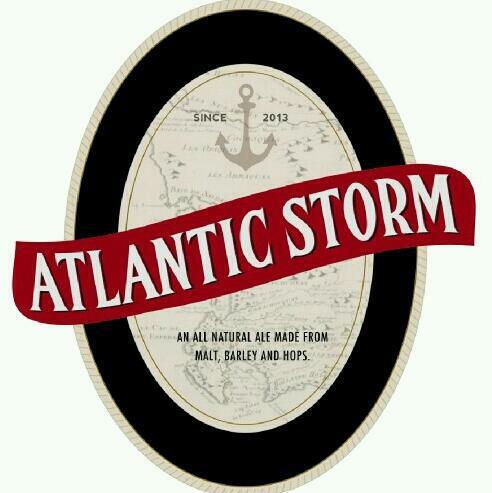 Where could I buy Atlantic Storm Beers? We just have to wait and see but they already have a couple of restaurants and markets that would like to stock their beers. Please contact me regarding orders. I need 1x. Keg.